Functional training might be considered another fleeting fitness fad, but our experiences at Boutique gyms tell us it’s here to stay. Whilst we recall images of bulky, cumbersome frames from a decade ago, we now need to consider compact, multi-functional solutions for facilities where space is at a premium. There couldn’t be a better time to adapt your studio, as there is some truly magnificent kit on the market. Potts’ concept was transformed into a compact, efficient exercise machine. The stepmill provides a workout that burns more calories at a lower impact rate and lower speed than most other exercises. Climbing stairs is on trend, and has never been so much fun. The latest stepmill designs are being described as the queens of HIIT, High Intensity Interval Training, which involves repeated bouts of high intensity effort followed by varied recovery times. 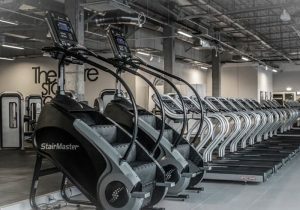 At Boutique gyms we are experiencing huge demand for the stepmill, due to its astounding benefits. Innovation that we champion here at Boutique gyms is the circular free weight, pioneered by the team of specialists at NuFit. Even distribution of weight around the entire hand compliments the kinetic movement of the athlete. 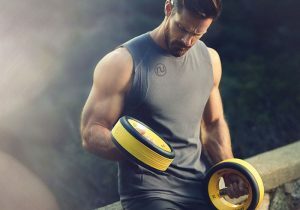 Circular weights work naturally and more efficiently with the body to reduce common training injuries that arise with the use of more traditional equipment. Golfers and tennis players are benefitting hugely from the ergonomic design that is so much kinder to the torque and elbow. For the lowdown on our designs and equipment for functional fitness, contact us here at Boutique gyms.